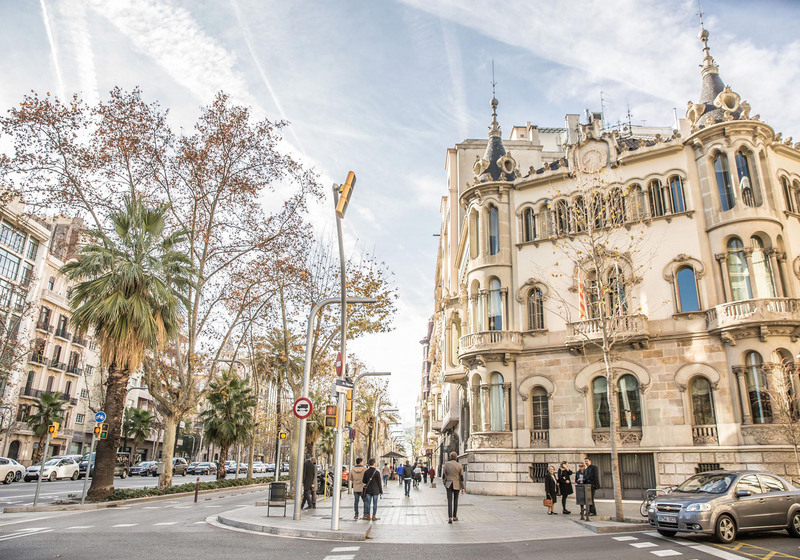 The Lofttown is located in one of the best places in Barcelona, in the Gracia neighbourhood, a minute’s walk from two of the most important and prestigious streets in Barcelona, Paseo de Gracia and Diagonal. It is close to everything, the universities, study centres, leisure facilities, restaurants, shops, green areas… and it practically has every metro, bus, and train line close by. Google it! METRO LINES: L3(green), L5(blue) y L4(yellow). We are next to Avenida Diagonal. 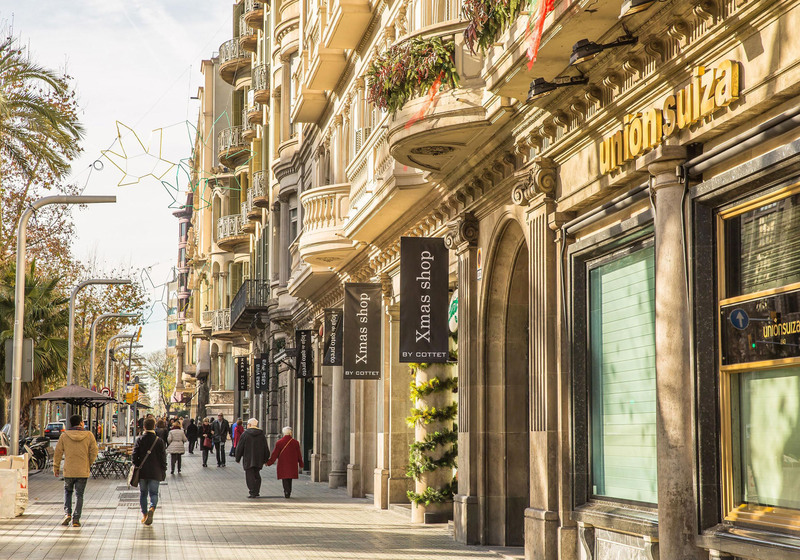 It is one of the main high streets in Barcelona. 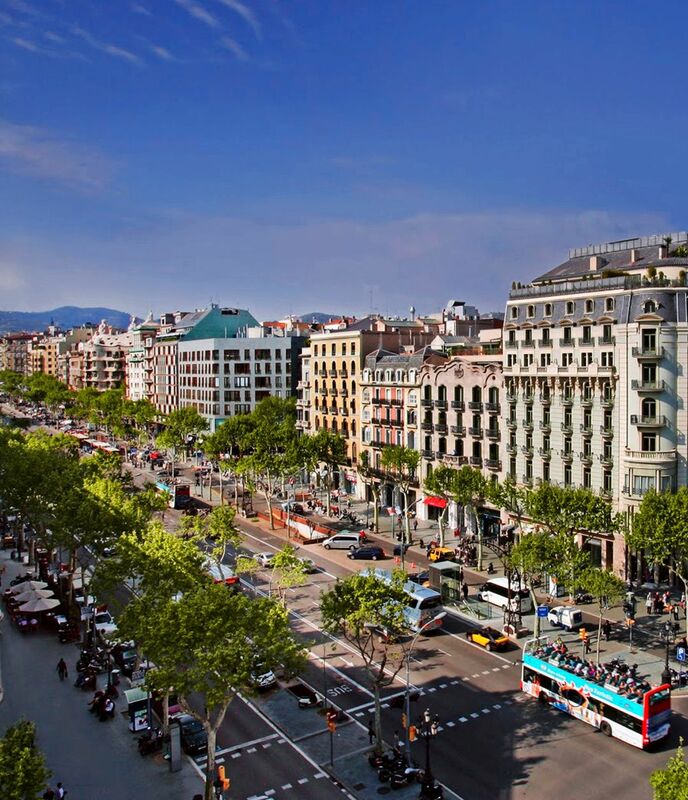 It crosses the city diagonally and it is one of the most important commercial hotspots. Here, you will find different shopping centres and a large number of designer clothes shops, jewellers, and shops that sell products for the home, as well as a wide variety of restaurants for every pocket and places of leisure. 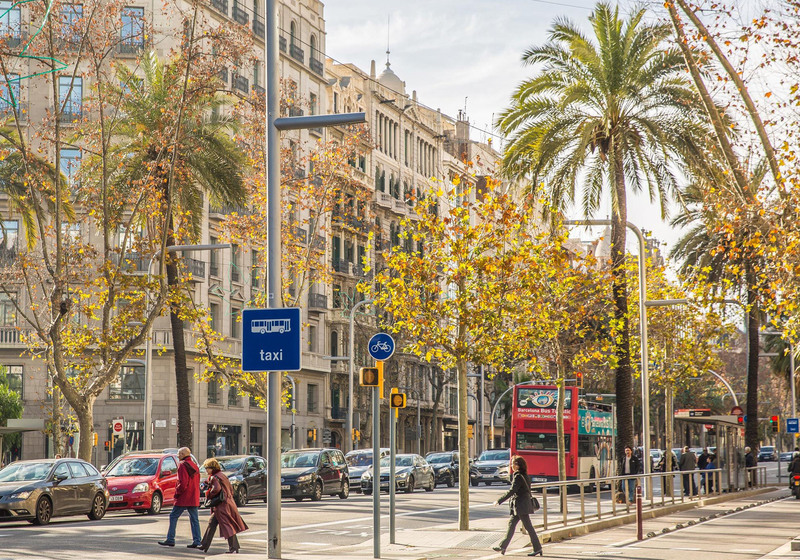 The Diagonal has a bicycle lane practically throughout its entire length. It is a beautiful and majestic street. Enjoy it during your stay in Barcelona. The Lofttown is right here, one minute away walking. Gracia, the area where The Lofttown can be found. 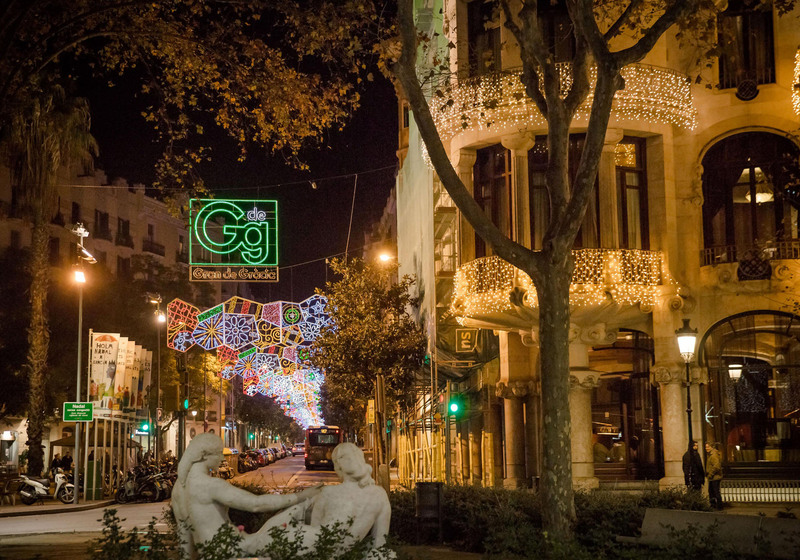 Gracia is the most emblematic and the most unique neighbourhood in Barcelona and it has a lot on offer. A place with a lot of history that has important architectural references, boutiques, and traditional shops as well as a great choice of restaurants, bars, theatres, concert halls, and cinemas. You will have everything at walking distance if you stay with us at The Lofttown. The Lofttown is located next to Narcis Oller Square. An intimate and romantic place named after the novelist, Narcis Oller. 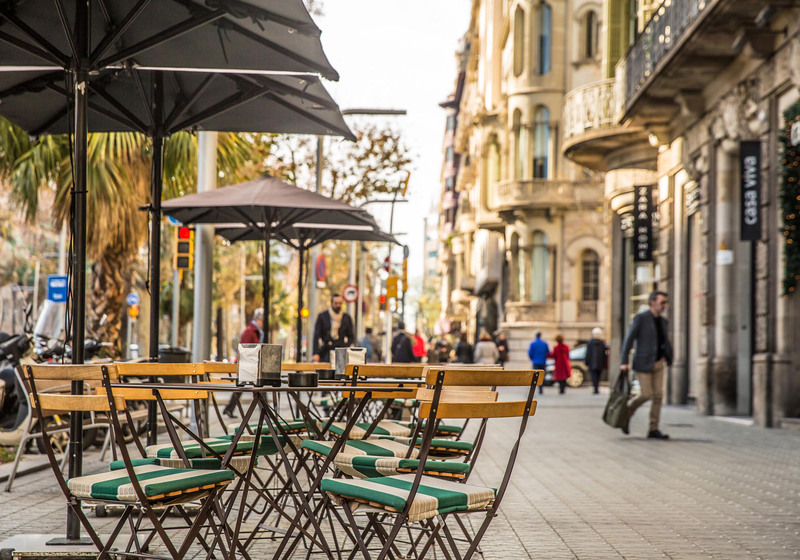 You will discover local shops and an atmosphere very typical of Barcelona thanks to the authentic local people from the neighbourhood. 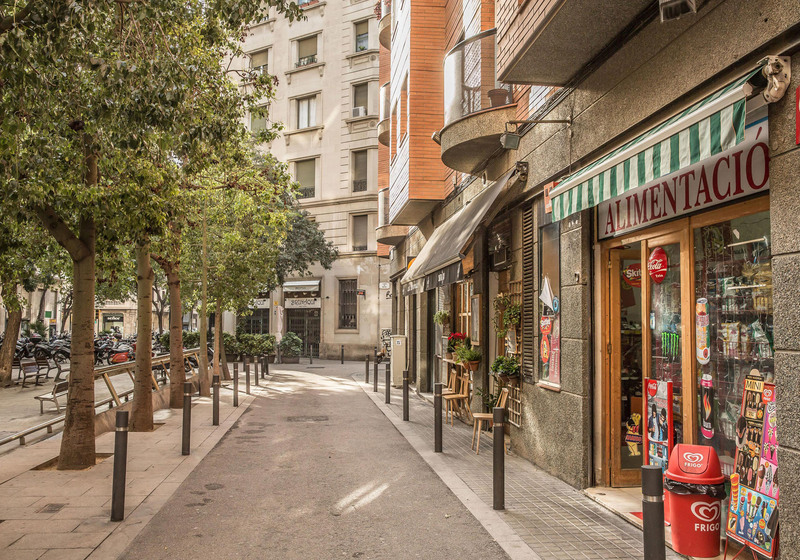 The Lofttown is located a one-minute walk away from Rambla de Catalunya. 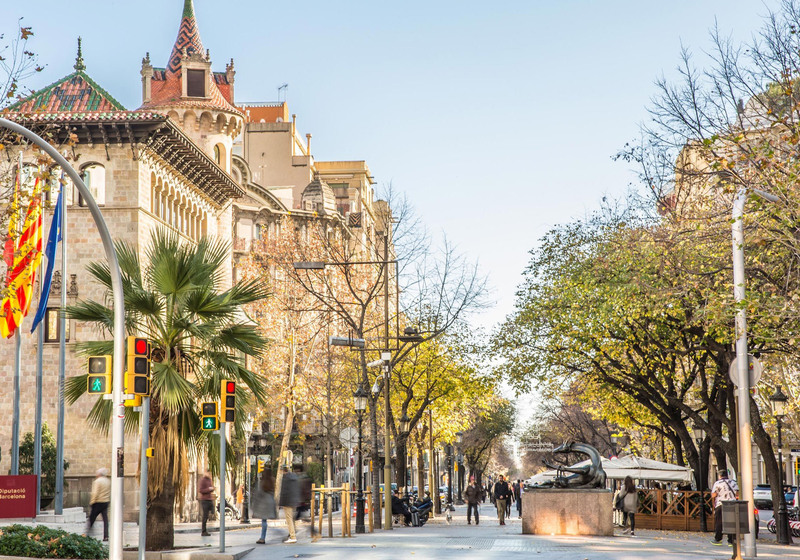 This is one of the most central streets in Barcelona, which runs from the mountain to the sea between Paseo de Gracia and Carrer Balmes. 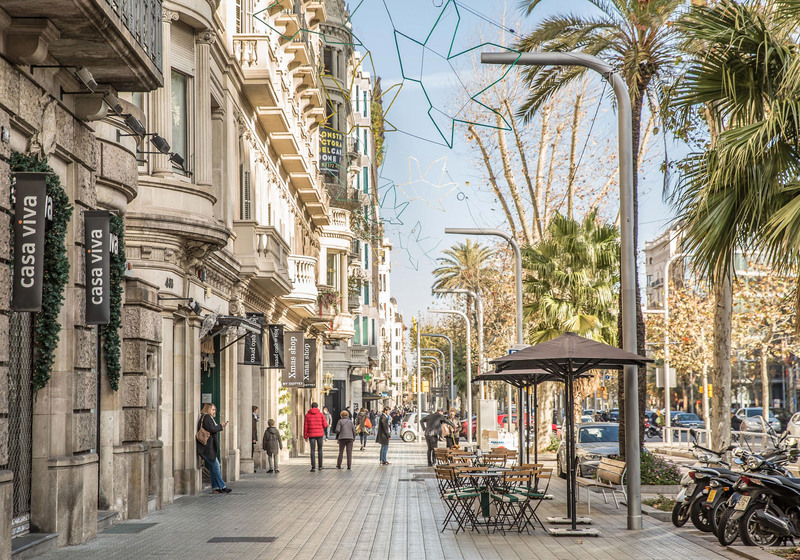 It is a colourful boulevard, essentially commercial with an abundance of fashionable clothes shops, cinemas, restaurants and cafés. You will fall in love with it. It has an excellent and pleasant ambience.